Whether walking to Santiago for spiritual reasons, for the natural and outdoor experience or just for the challenge, the Camino de Santiago is an unforgettable trip that must be taken at least once in life. Santiago de Compostela, in Galicia, has been a pilgrimage destination for centuries. Since the middle ages, pilgrims from all over the world have travelled the Camino de Santiago (St James Way) to visit the city’s cathedral, where the remains of St James are allegedly buried. 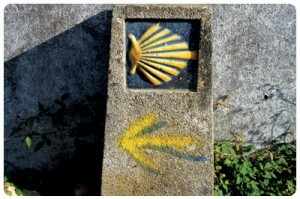 Walk the last 100km of the Camino de Santiago, along the French Way with CaminoWays.com, the walking and cycling holiday specialists. 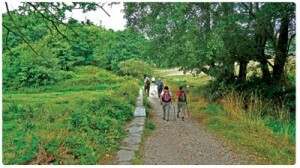 Walking from Sarria to Santiago de Compostela, meet fellow pilgrims and enjoy the camaderie and buzz of this unique experience. This 7 day trip will see you stay in small hotels and country houses where you will feel the warmth of Galician hospitality and taste the best homemade traditional cuisine. Upon arriving in Santiago you will travel to Sarria, the starting point of the trail. Your night in Sarria will be spent in a 3* hotel that features a swimming pool. On your second day you will walk 23km from Sarria to Portomarín along country roads and through pretty villages. On the third day of your trip you will cross the River Miño as you travel from Portomarín to Palas de Rei. After spending the night in a 3* hotel you will walk 28km from Palas de Rei to Arzúa, stopping along the way in Melide to try Galicia’s traditional octopus dish. After your fourth day of travelling you can rest in a family run business in the historic centre of Arzúa, famous for its cheese. Your fifth day will allow you to experience the beautiful woodlands and quiet villages as you travel from Arzúa to Amenal. Upon arriving in Amenal you will check into a 19th century farmhouse hotel where you can relax before your sixth and final walking day which will take you 14km from Amenal to Santiago de Compostela. This wonderful city offers a host of tourist attractions such as the Old Town, a UNESCO World Heritage Site since 1985. Your final night will see you check into a former 18th century monastery in Santiago’s Old Town or you can treat yourself to an upgrade and a pampering night in one of Santiago’s luxurious hotels or the 5-star ‘parador’. The final day of your trip will allow you to explore Santiago de Compostela and enjoy all that this vibrant city has to offer. You can even add an extra day to your trip if you wish, to allow you to explore even further. 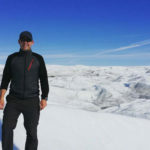 This fun-filled package is available now with CaminoWays.com from just €489pps in low season or €589pps in high season. Price includes: Accommodation as stated on a half-board basis, a holiday pack and luggage transfers from hotel to hotel. Book today by logging onto caminoways.com or call +353 (0)1-525-28-86.